The 2 year olds get to move into a new classroom with the added feature of being able to learn how to use the bathroom. Our specially designed room allows this group of young children to access the bathroom when they need and during scheduled bathroom breaks. Children learn more about the environment through nature walks and sensory activities. Circle time includes; calendar, stories, songs, weather, alphabet, numbers, shapes, colors and opposites. 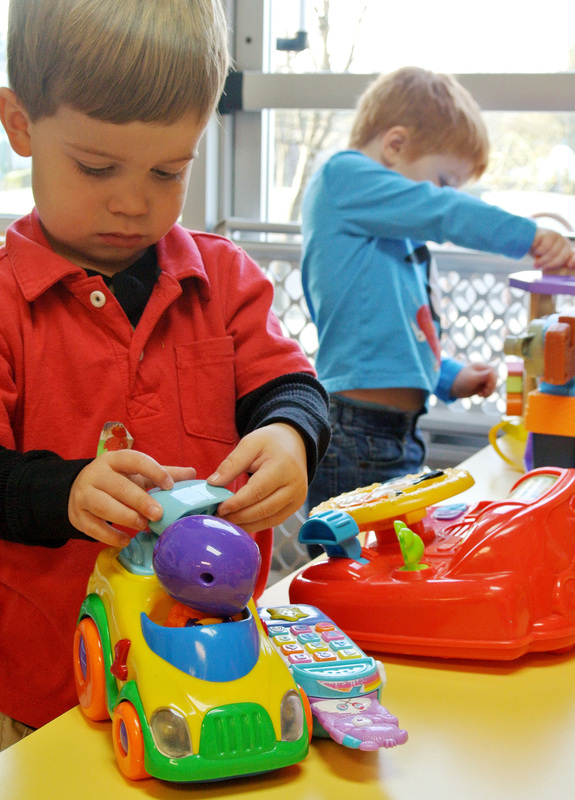 Children also begin to learn how to cooperate with others and problem solve through play. Ratio in the class is 1 teacher to every 5 children with a maximum of 15 children.